"If you want to see rapid improvement you have to have a plan. Too many people waste time beating balls without a purpose. 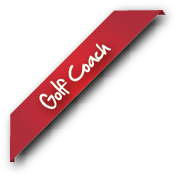 MyGolfGamePlan goes way beyond just stats, it tells you what they mean and how to improve". 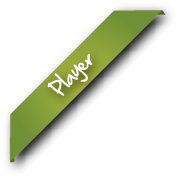 Our Scoring Calculator tells you want you need to do to hit your desired scores. Fun graphs will track your progrss and goal setting tracks your progress. Plus, our fresh Game Builder videos help you get there. 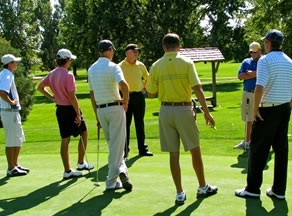 As a golf instructor, it is very satisfying when you see true progress in your students. It is thrilling when they break a personal best. Game Plan allows you to create a plan for each student in a matter of minutes. Give them more value, fun and success! Based on our experience, it is always a battle to get your team to enter their stats. Often, it becomes "homework for coach". With Game Plan they get instant feedback they can use. Easy entry from their phones makes it quick . Plus, you can track your whole team in one place and comment on rounds. 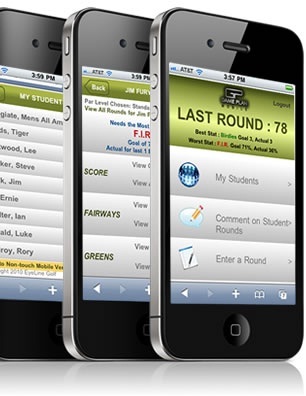 Just visit mygolfgameplan.com on your mobile device! Try the Sliders below and watch the Projeted score! 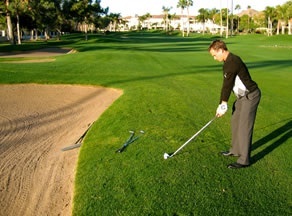 WHEN YOU HIT IT INTO TROUBLE TRY TO SAVE 1/2 SHOT • Hit your recovery shot to your favorite wedge distance • This gives you your best chance to save a shot.